This really is my mom Ruthie’s meatloaf recipe. Comes out so moist with lots of wonderful flavors. See what she puts in to make this meatloaf so tender. I loved this as a child and still love it today. 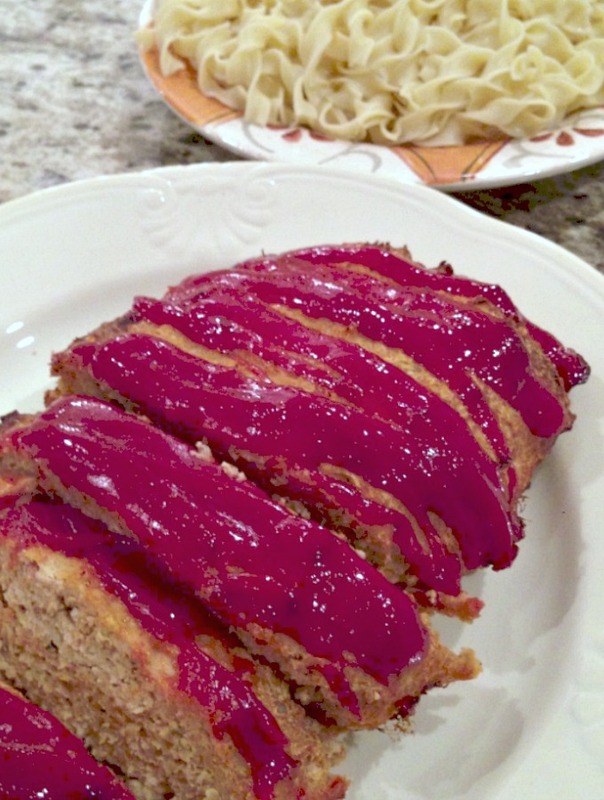 Make one up and tastes how amazing this meatloaf is. Enjoy! A little over 1 pound ground turkey, ground beef can be used too. Preheat oven to 350 degrees. Cover a baking sheet with no stick aluminum foil and spray with cooking spray. Set aside until ready. In a large mixing bowl mix all ingredients with a wooden spoon. My mom gets her hands in there. She says it gets everything mixed up the best. The most important thing is, don’t over mix. The meatloaf will be much more tender. Shape into a loaf and pour the ketchup on and smooth with a spoon. Sprinkle the brown sugar on top and bake for about 1 hour or check with an instant read thermometer reads 165 degrees. Let sit out on the counter for about 10 minutes before slicing. My mom always served this with egg noodles with melted butter and garlic powder.